(TibetanReview.net, Apr02’19) – The Dalai Lama has taken comfort in modern technology to overcome barriers of age and politics to be able to address his devotees internationally. On Mar 31 he gave teachings which were web-streamed to more than 6,000 devotees in Taiwan. “On the one hand, it is difficult for me to travel in long flights at this age. On the other, due to the political situation in Taiwan, I feel uncomfortable if there is no understanding with China for my visit, but I am happy that I can reach and converse with my followers in Taiwan with the help of modern technology,” the 84-year-old exiled spiritual leader was quoted as saying. This was the second time he reached out to his followers in recent days. He did the same with Buddhists in Mongolia earlier this month. 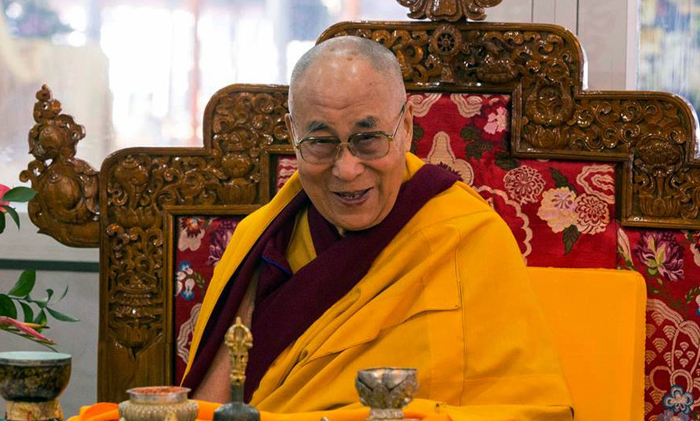 Due to strong economic ties with and political pressure from China, both the countries find it difficult to let the Dalai Lama to visit even for religious teachings. He has visited both the countries before; but the intensity of pressure from a rising, pugnacious and unforgiving China has increased considerably in recent years.